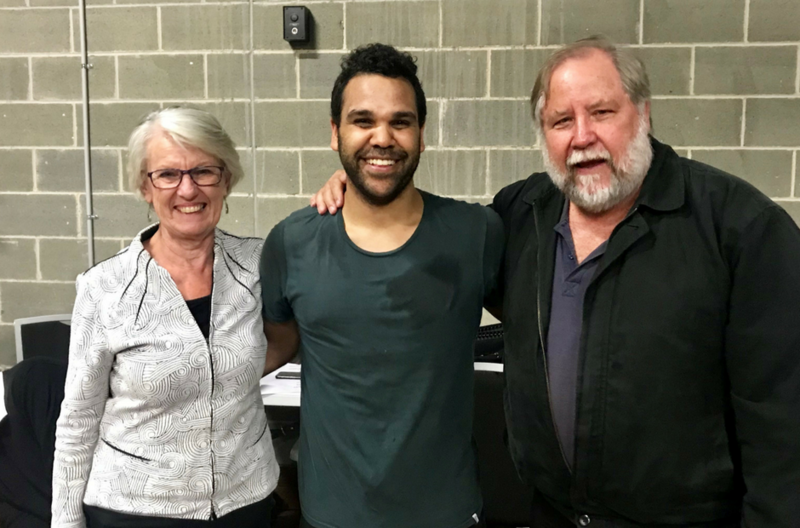 NAISDA’s staff and Developing Artists were thrilled to have Chris and Kathy Harris join us on the evening of Thursday 5 July to announce the recipients of the 2018 Bursary Program under the Joanne Harris Scholarship Fund. Joanne Harris spent her life studying, teaching and performing dance. Thanks to her legacy, NAISDA is able to offer a number of financial bursaries to in-need Developing Artists to assist with living expenses each year. 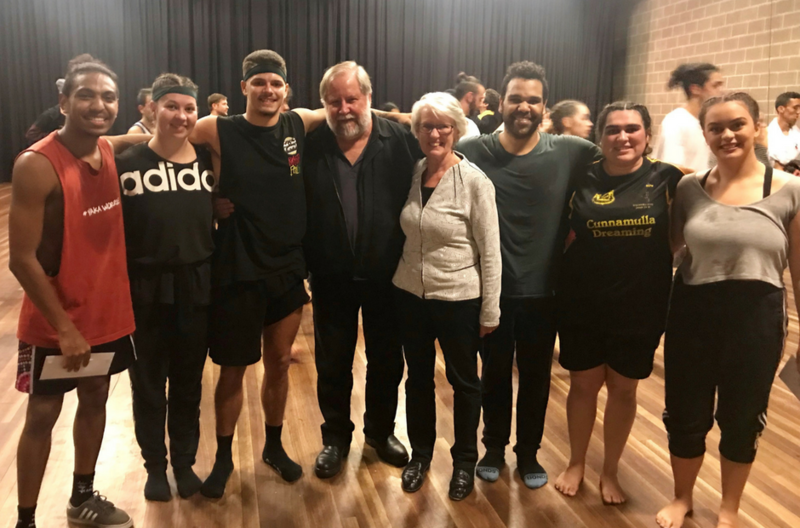 This year’s bursary recipients were announced during an intimate presentation at The Art House Wyong, prior to the Thursday night performance of NAISDA’s mid-year season of Messenger. Congratulations to Amy Flannery, Kallum Goolagong, Gusta Mara, Codey Thomas and Kiara Wilson, who were all awarded financial bursaries to support their studies at NAISDA in 2018. In addition to our bursary recipients, Chris and Kathy also heard from Neville Williams-Boney, the recipient of this year’s Gifted and Talented Scholarship under the Joanne Harris Scholarship Fund. As the recipient of the 2018 Gifted and Talented Scholarship, Neville was recently given the opportunity to attend the coveted Summer Intensive course with PUSH Physical Theatre in New York to pursue his passion for physical theatre. NAISDA would like to acknowledge Chris and Kathy Harris, and of course, the late Joanne Harris, for their ongoing generosity and support of NAISDA. Through the Joanne Harris Scholarship Fund, NAISDA has been able to create a number of annual scholarships and bursaries to help young Indigenous dance artists pursue their passions.